Our little city is growing! Maybe some credit goes to T&L placing Raleigh on the to visit list in 2017, but the downtown neighborhoods are booming! I’ve never seen so much activity as I have this weekend! After working from the comfort of sweats and a couch all week-long, I “forced” myself to wrap up work early, actually throw on some make-up and real pants and hit a few of he new haunts, all which happened to be right on the same street. 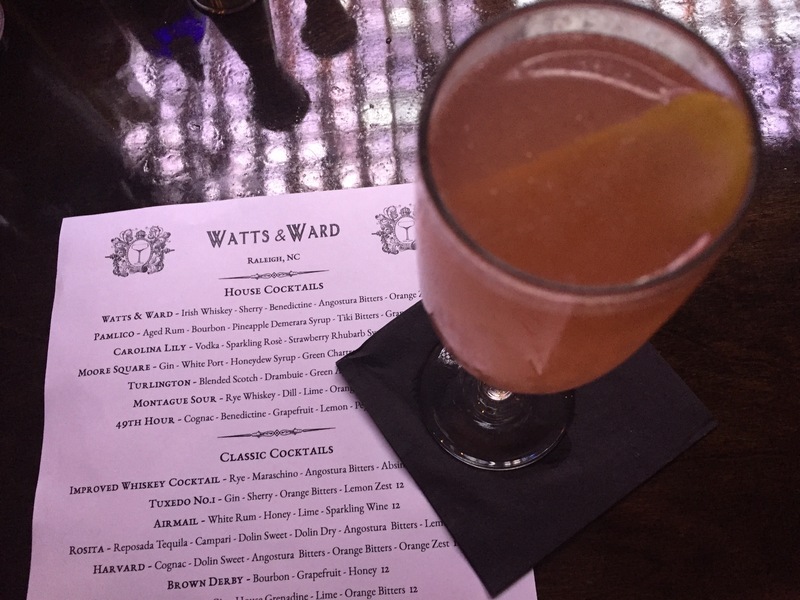 First up was the Watts and Ward bar. 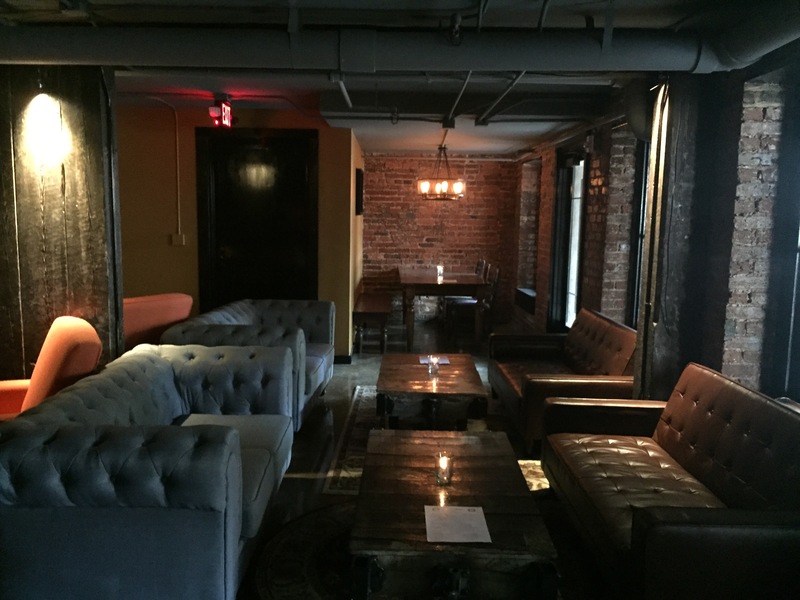 It’s an underground speakeasy in a massive space. The bartenders are all friendly and dressed for the period, happy to answer questions. The craft cocktail menu was extensive and I selected the Carolina Lily champagne cocktail after discussing with the bartender which would be the least sweet sparkly drink. ( I detest sweet drinks). He promised me this one was not. Full of vodka, strawberry-rhubarb syrup, lemon, and sparkling rose, I figured what the hell. NEWSFLASH: It was sweet. 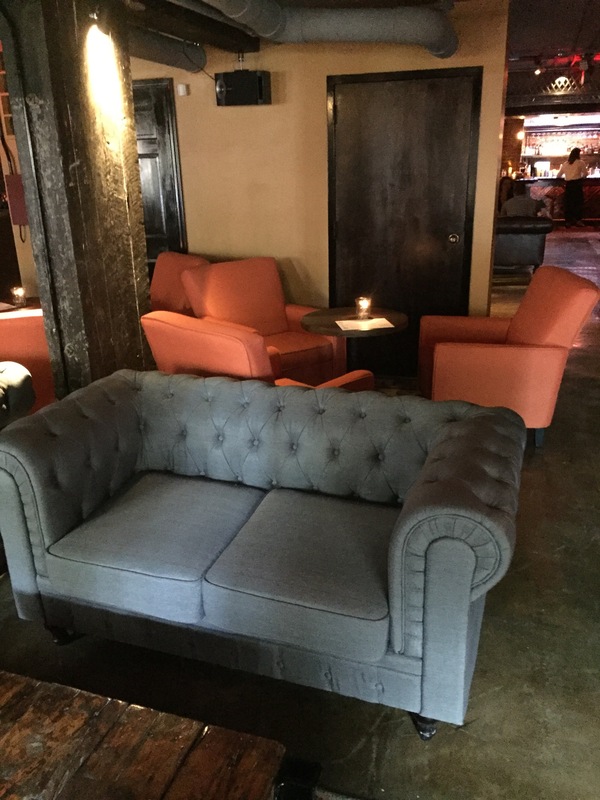 Every cocktail bar in Raleigh seems mix saccharine sweet drinks, even if the menu doesn’t read that way. I don’t understand this phenomenon, but I wasn’t totally surprised. REC: Return with a group. Order something boring. Be prepared to pay the $1 membership (or put it on your tab). And if it’s Saturday night after dinner, be prepared to wait in line and feel old. 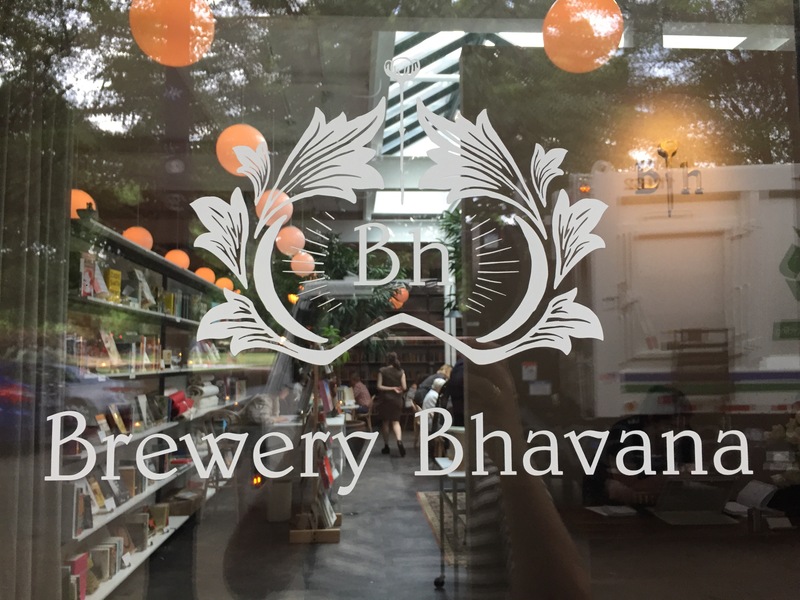 Next stop, Brewery Bhavana by the wonderful folks of Bida Manda. This has been open for a few weeks; I’m just late to the party. The space was STUNNING. All white errryyyythang. It’s hard to imagine this was previously a dark, Irish pub. At 6PM on a Friday, the place was absolutely slammed. I found a seat at the bar and hoped they served not just beer. They did! A couple margaritas and other cocktails were available, but I opted for vino. 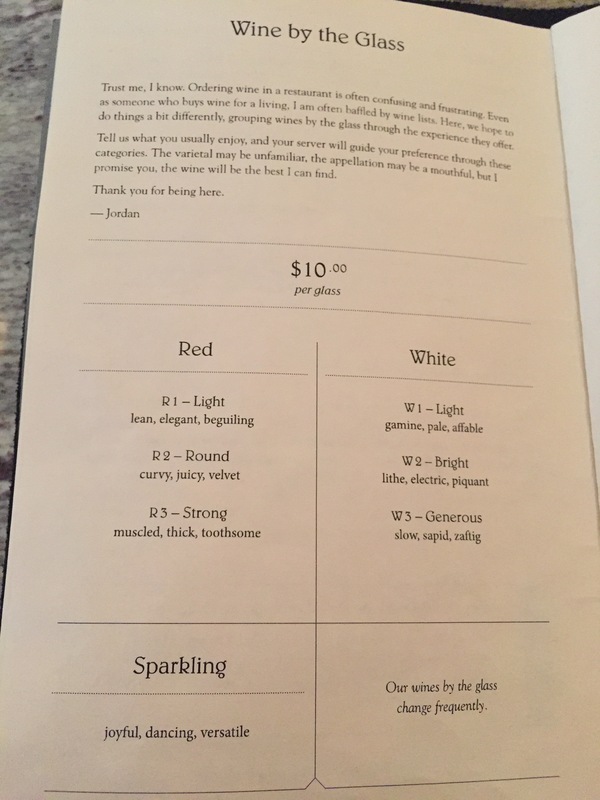 Quite the interesting way to order wine. The red list read like a dating website and the white list required me to Google some descriptors, so I just tasted all of them. I liked none of them, and ultimately settled on a Sauvignon Blanc (#2) which I couldn’t finish quickly enough. The space is also a book store (with a kids corner, so they can play while parents pursue the brewery) and a flower shop. The books and magazines seemed interesting, but there was really no where to open a book and browse, especially if you’re holding a drink. The bookshelves flank the dining area which is just a bit awkward. The flowers were gorgeous, but $25 for a small bouquet….I’ll probably have to stick to Kroger. Somehow, I failed to take photos of all of this, but maybe you caught the experience on my IG story Friday. REC: Return. Demand the place be open in the afternoon, because it would the perfect Saturday afternoon. 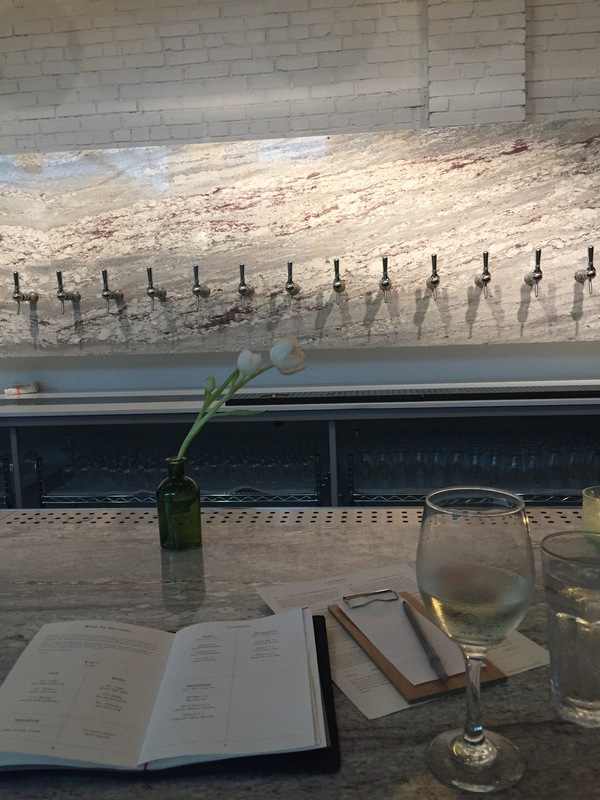 Casual drinks in a light airy space and BOOKS. Then, you could actually take flowers home as opposed to drag them bar hopping. PRO TIP: they don’t serve food at the bar and the menu looked delicious – all dumplings and buns. 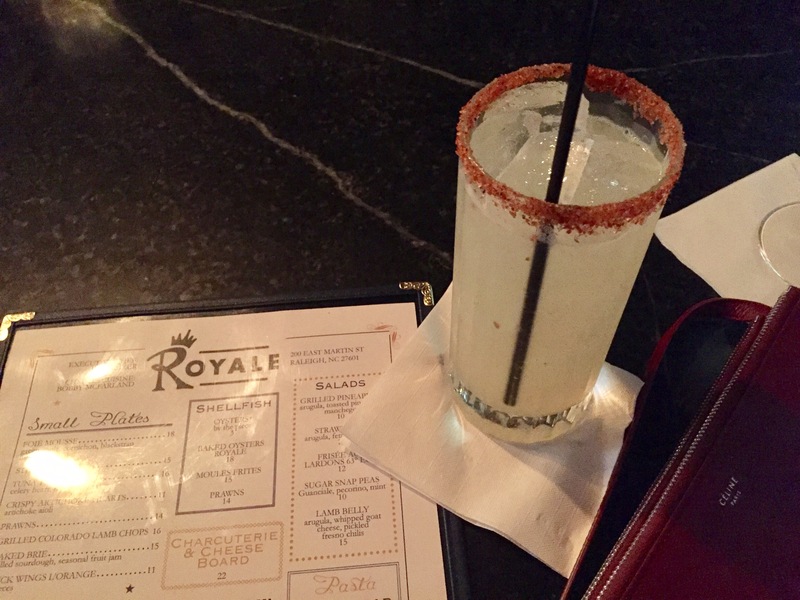 Finally, the Royale. A new French spot I was dying to try. 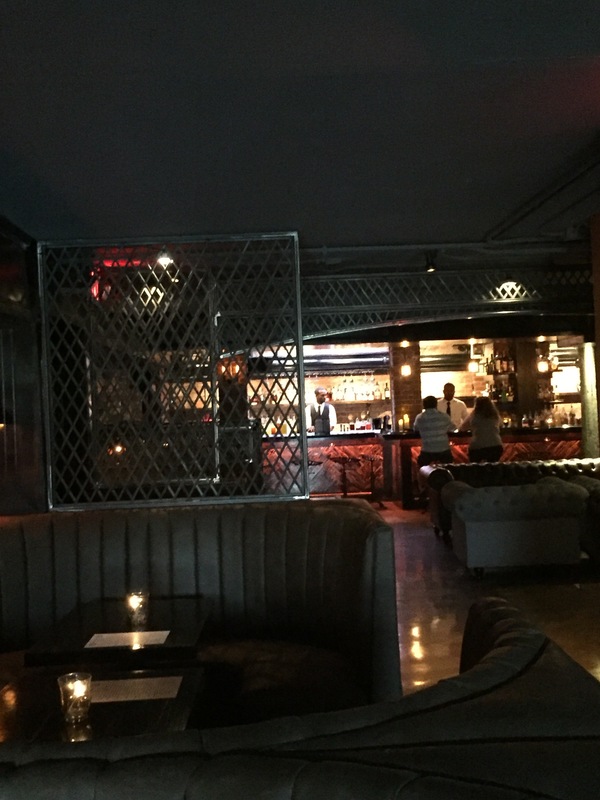 The restaurant was quite dark and played Wrecks and Effects throughout my time there, so you know I was happy. They also served Languiole knives which is another favorite. So, being in France, I started with a tequila cocktail called the Marguerite. My middle moniker was proving quite popular this week (more on that later) so I had to try one. It was a killer date. Tall. Strong. Spicy. 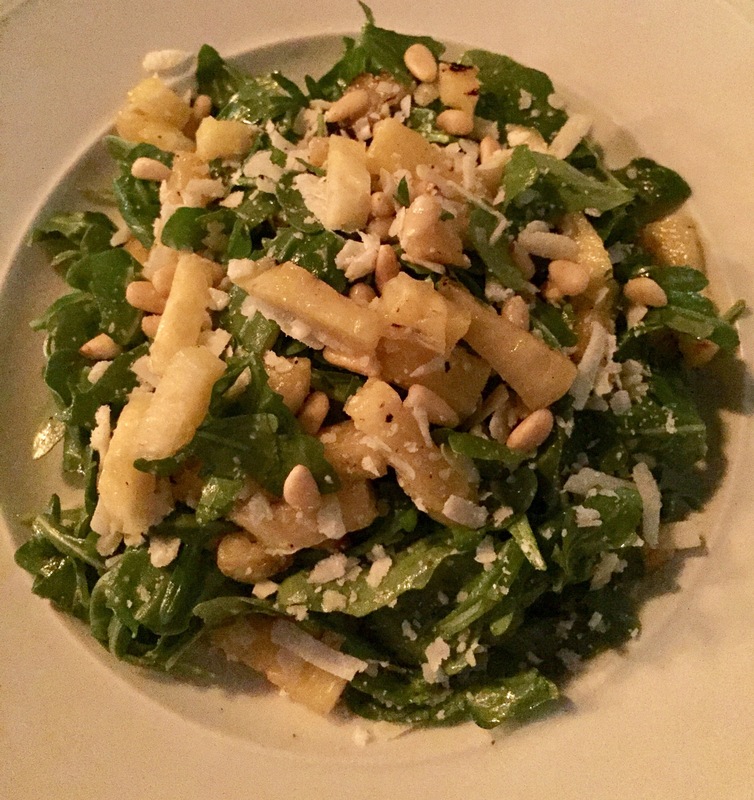 Then, I tried a spring salad of all my favorites – arugula, grilled pineapple, pine nuts, and manchego. It was a large salad, very fresh, but didn’t pack a flavor punch. 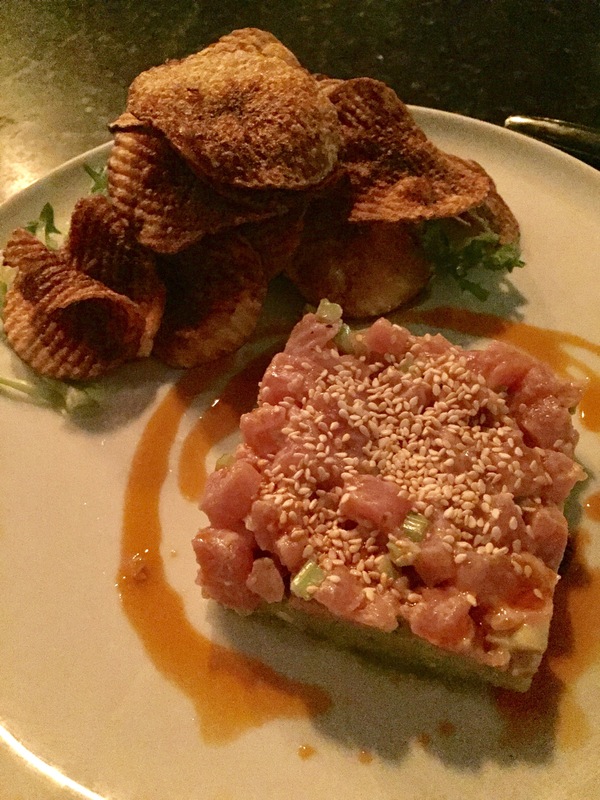 For my main, I had the tuna crudo. Again, a generous portion – I could have used more chips ( a little confusing). But, again, NO FLAVOR. The tuna wasn’t even salted, I swear. SKIP THIS. REC: I wanted so much to love this place. I’d return and try a steak frites and if that doesn’t deliver…I’m done. I would recommend this as a drink spot – but the bar is small. It would be a fun start to the night. Or end for a dessert and cocktail served with a side of classic hip hop.